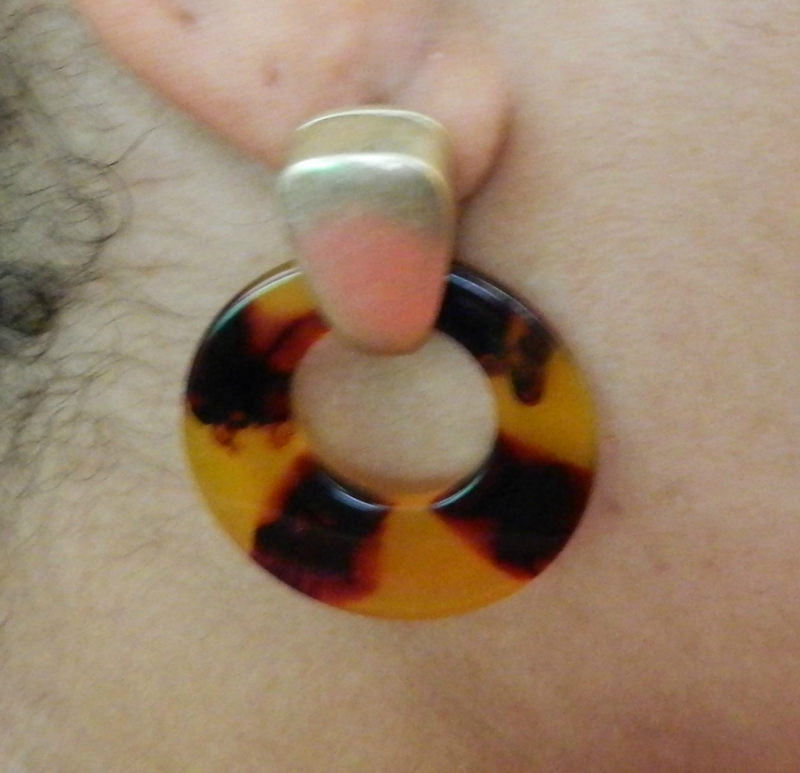 Earrings are my favorite jewelry accessory! You won't find me leaving the house with out them. 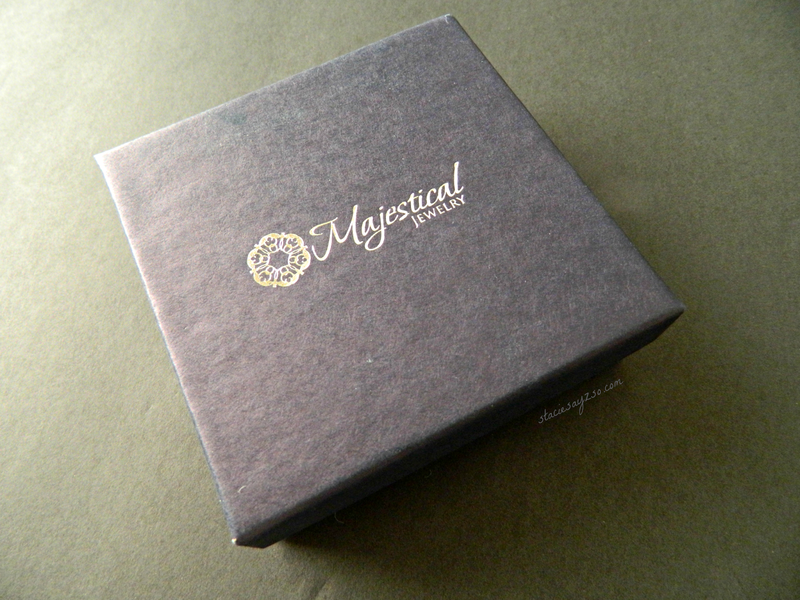 I had a chance to review a company called Majestic Jewelry in exchange for my thoughts on it. 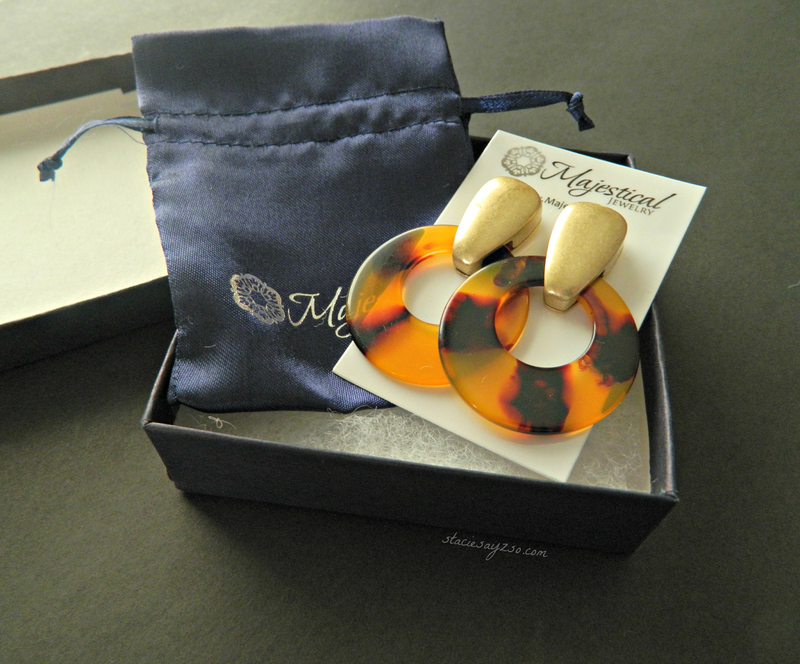 I was impressed to see my earrings in a cute little jewelry box. Love this beautiful packaging! Makes me feel like I'm getting a gift. Now, I didn't actually order this pair, they were sent to me. They're remind me of something I would have worn back in the 80's. Though I currently wear earrings that dangle, I think these would be cute paired with a brown or black top or an ethnic print dress. 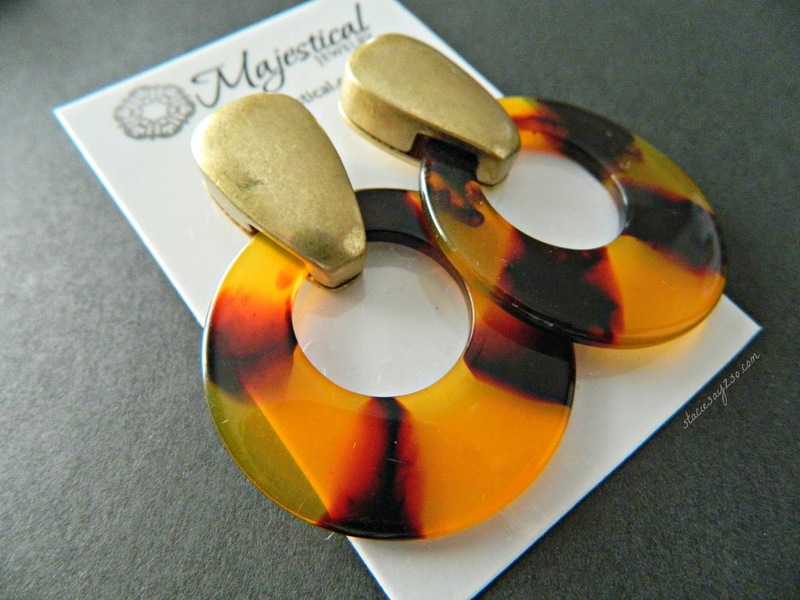 For more info on Majestical Jewelry, visit their website here. What is your must have accessory? Me too Celeste. The packaging was gorgeous!. I know! I feel so bare when I forget to put some on. Some of their earrings were really cute. The Necklaces weren't bad either.